WARNING: THE HELICOPTER GUNSHIP FROM HELL HAS JUST BEEN UNLEASHED. GUESS WHO THE PILOT IS? 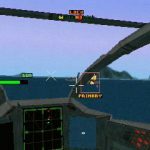 You’re a combat pilot strapped into the cockpit of the meanest helicopter gunship on the planet. Dangerous missions await you, and failure is not an option. Fire up the Thunderstrike, and prepare for 360 degrees of furious carnage. 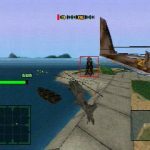 Real-time combat and real-life conflicts- a Middle Eastern invasion, a brutal siege in eastern Europe, gun-running in South America, piracy in the South China Seas… 26 massive missions in all, including day and night assaults. Rotate your virtual cockpit view through 180 degrees left and right, independent from flight. 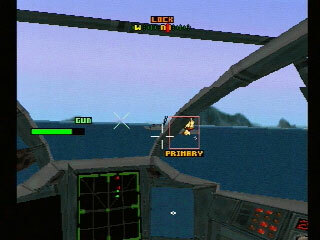 Or survey the combat in a seamless 360 degree rotation from outside your gunship. Unleash a non-stop blitzkrieg with a vast array of weapons. 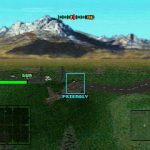 Configure your own mix of sophisticated armaments including missiles, cluster bombs, rocket pods and chain guns. 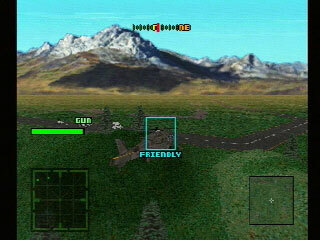 War-torn terrain and 3D graphics are ultra-realistic. 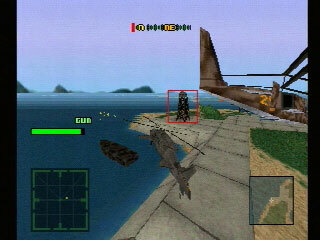 Look out for enemy vehicles, air aircraft- then vaporize them with bone-shattering explosions! Also released on the Sega Saturn. Sequel to the Sega CD game of the same name.